As I mentioned in my Lightened Up Cobb Salad post, I don’t like wimpy salads. If I’m going to eat a salad as a meal it needs to be flavorful and filling. Last week I decided to try out a new dinner salad, and it was a scrumptious success! 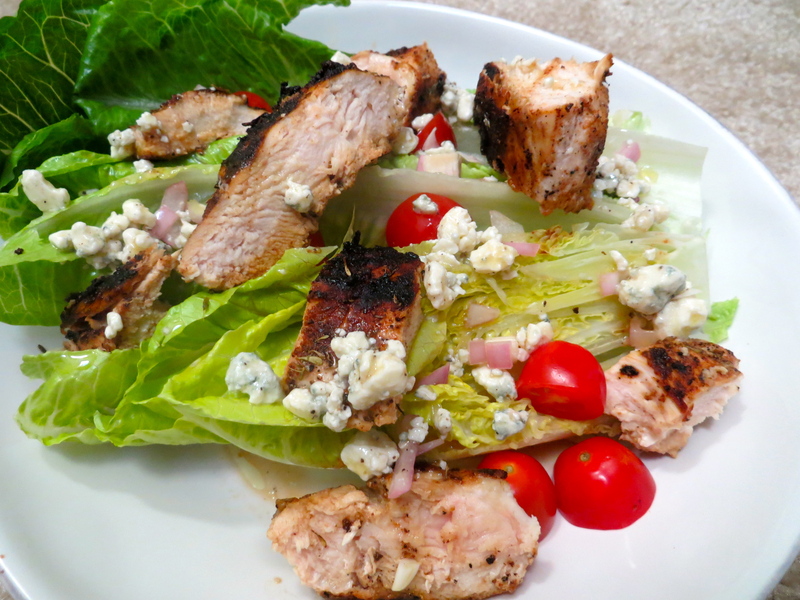 I made Cooking Light‘s Blackened Chicken Salad with Blue Cheese Vinaigrette. I reviewed my experience with the recipe, including any substitutions and tips I learned along the way. When I first found this recipe in Cooking Light, I almost wrote it off immediately due to the length of the ingredients list. 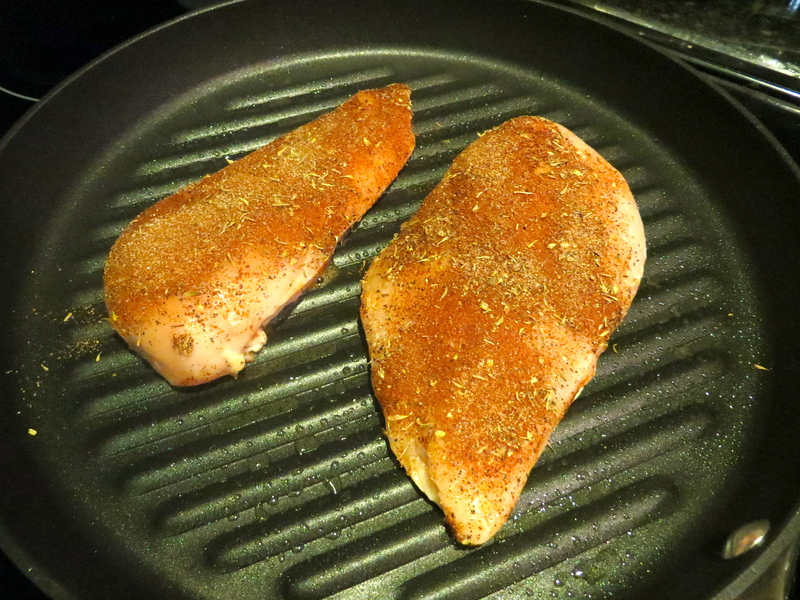 I thought the rub was flavorful and had the perfect amount of “kick” to it, but If you really don’t like spice, you may want to cut back on the red pepper. 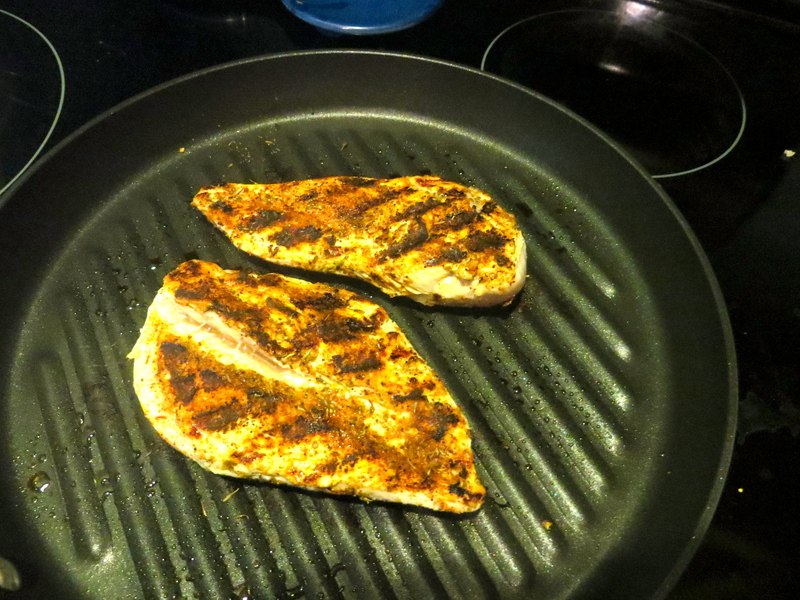 After mixing the spices together, I put the rub on the chicken breasts and cooked them on a grill pan. You could also use a regular grill. It took about 10 minutes to cook the chicken. While the chicken grilled, I put together the vinaigrette and salad. 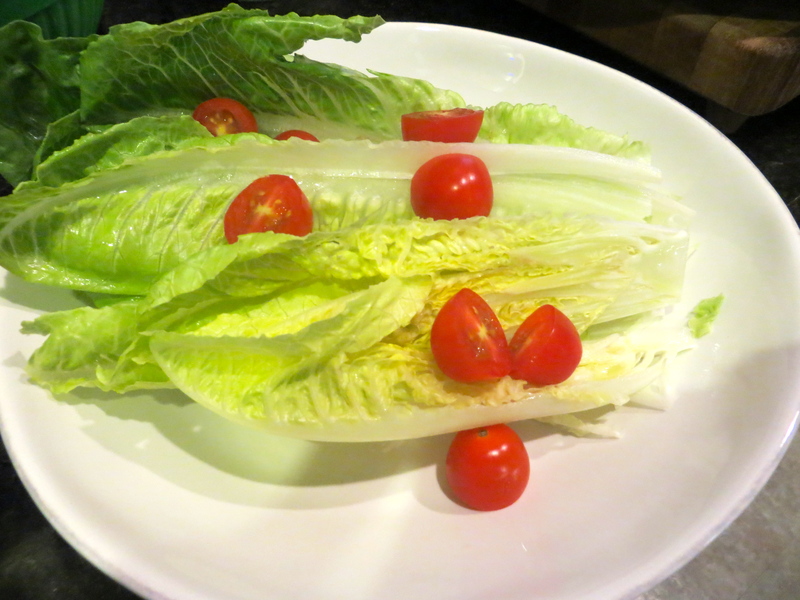 The salad portion consisted of half of a romaine heart and halved cherry tomatoes. After I let the chicken rest for 5 minutes, I sliced it and put everything together. The salad was beautiful and delicious. 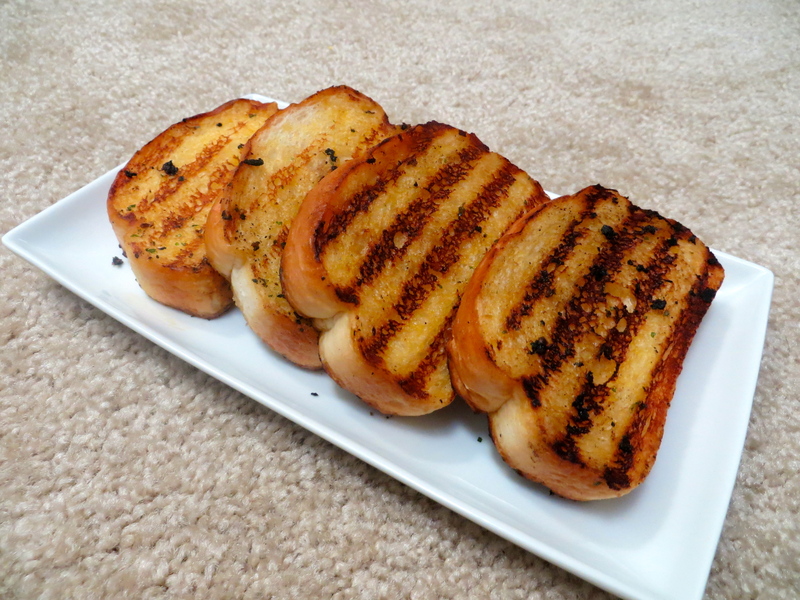 It paired nicely with grilled Texas toast, but any crusty bread would be great, too. The salad was really good and much easier to make than I expected. 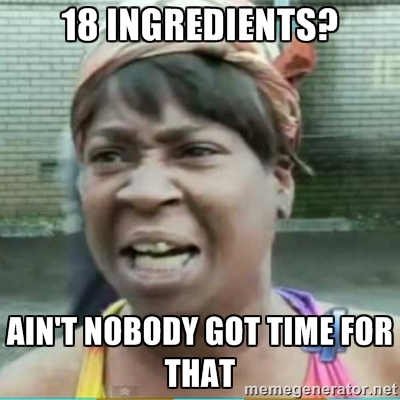 I tend to think that more ingredients= more time and difficulty, but I was definitely wrong with this one. 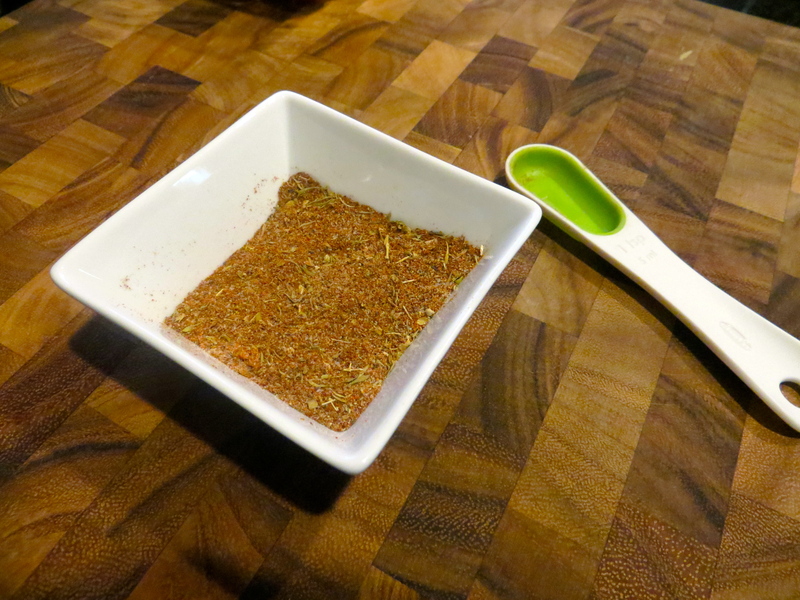 Other than shallots and blue cheese, you probably have the ingredients for the spice rub and vinaigrette in your kitchen right now. Happy Friday! 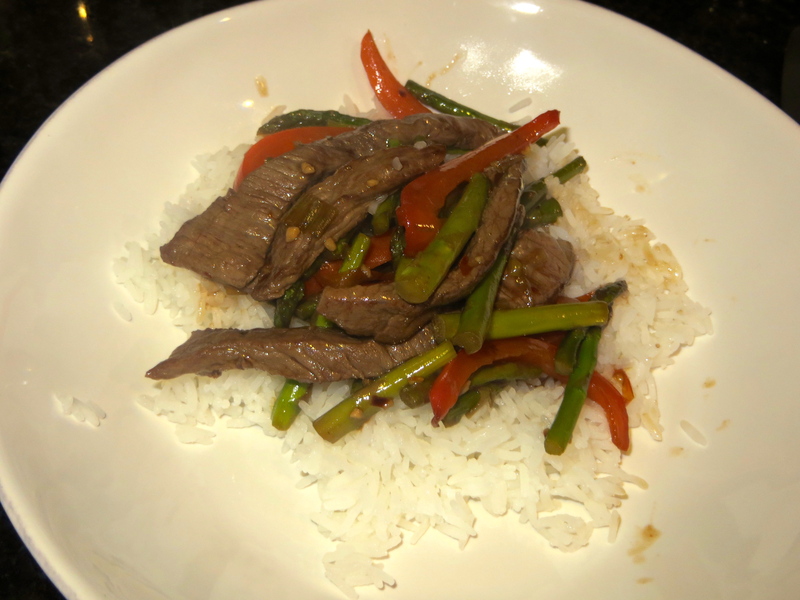 I wanted to share this steak and asparagus stir-fry recipe that I mentioned in my weekly meal plan post. The recipe is from Cooking Light. Instead of coming up with new recipes, I will most frequently review recipes on Brown is the New Pink. I always learn something from the first time that I make a new recipe, so I hope information about my experience with the recipe will help you! 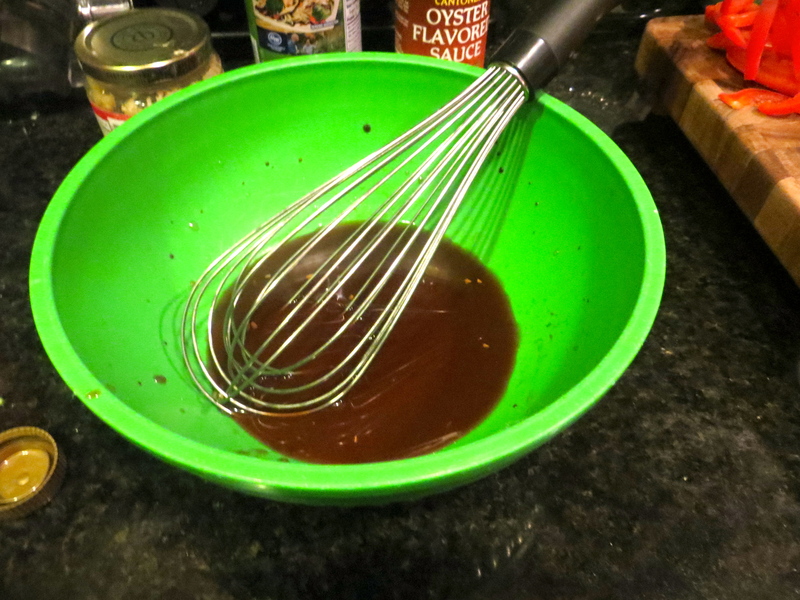 The first step in the recipe involves mixing ingredients for the sauce. I made a few changes with this step based on what I had in the house. I used chicken broth instead of stock, and I left out the ginger because it’s too expensive for me. The sauce still turned out great. 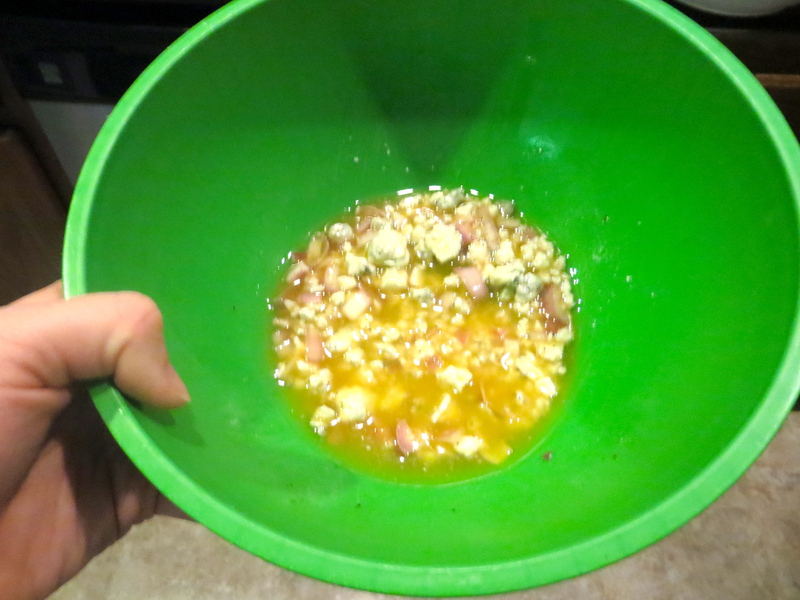 Next, the recipe calls for browning boneless sirloin steak that has been cut into 1/4″ strips. Unfortunately, sirloin steak was not on sale at my grocery store, but I found some less expensive choice beef that was already cut into strips for stir-frying. Convenience for the win! 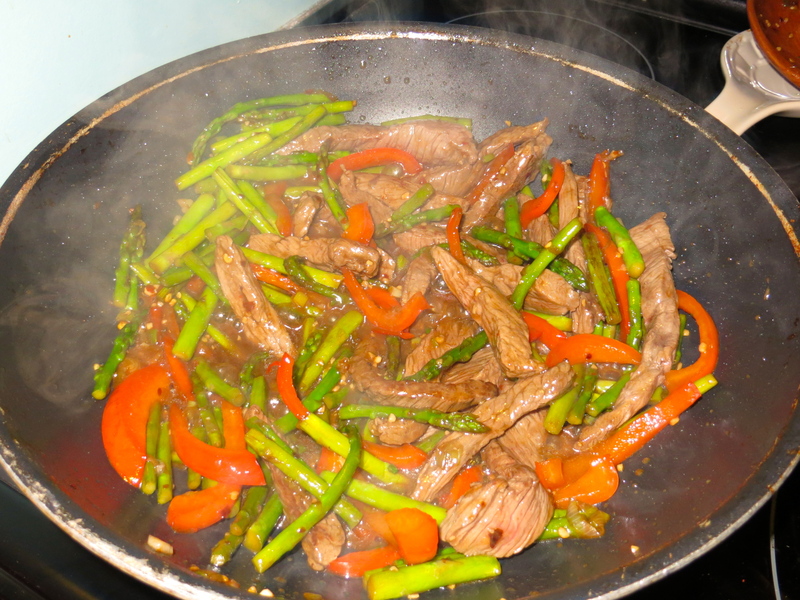 After the beef is browned, which only takes about 1-2 minutes, the next step is stir-frying the veggies. 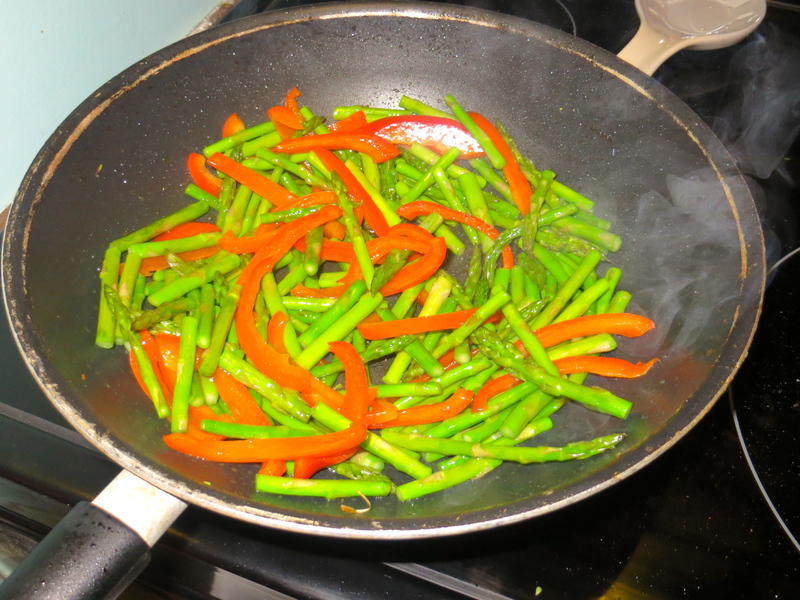 Stir-frying the asparagus and bell pepper. The red bell pepper and asparagus go in first followed by the green onions. The sauce is added next. Finally, the beef goes back in at the end. If you’re like me and want to make sure you’re cooking everything for the right amount of time, I suggest setting a timer for 10 minutes and watching your time throughout the whole process. For example, if I put the asparagus and bell pepper in the skillet at 10 minutes, I know to add the green onions at 8 minutes and the sauce at 7.5 minutes. Sorry for the poor picture quality. It may not look it, but it was delicious! Derek and I both LOVED this recipe. It will become a regular on our rotation. Derek even said it is one of the best things I’ve ever cooked. The recipe is easy and super fast. I chopped the vegetables in advance, so the whole recipe took me 15 minutes with about 10 minutes of actual cooking time. 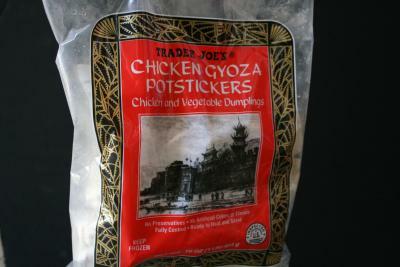 I served the stir-fry over jasmine rice that I microwaved while I was cooking. It all came together fast, and it was incredibly flavorful. Happy Hump Day! I hope your week is going well so far. I’m busy cleaning, decorating, and shopping to get ready for graduation and the brunch that we’re hosting. 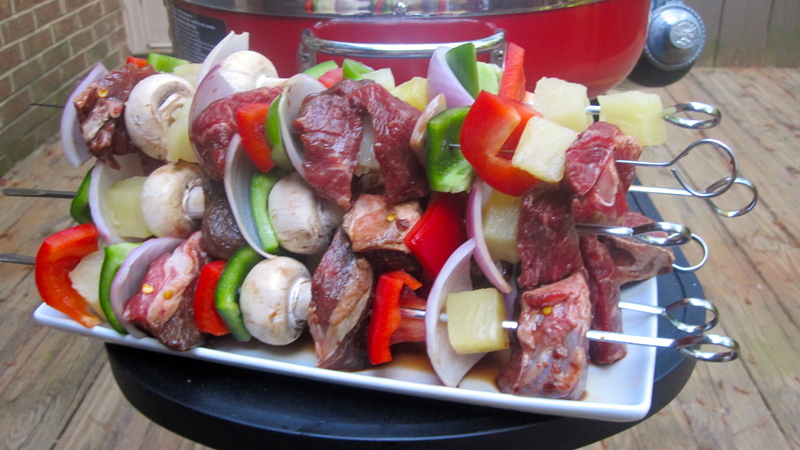 Today I am sharing one of my absolute favorite recipes: beef kabobs. This is the meal that I request every time I go to Kentucky to visit my family. My dad is the master of these kabobs, but Derek and I figured we’d give it a try. I prepped and assembled the kabobs, and Derek grilled them. They turned out great, and they’re surprisingly easy to make! The best thing about kabobs is that you can completely make them your own. The recipe below is exactly what I made this week, but you could make the kabobs with chicken or just veggies. You can also mix up the veggies based on what you already have. 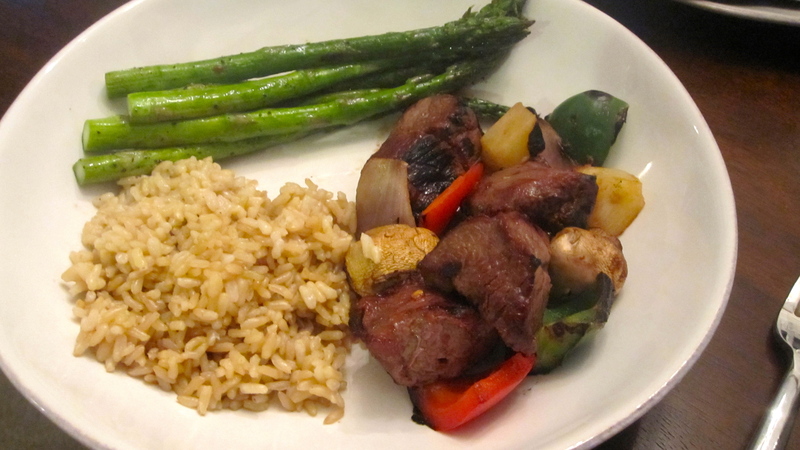 I served the kabobs with brown rice and grilled asparagus. Yum! 1. Trim beef and cut into 1 in cubes if the pieces are too big. 2. Marinate beef in soy sauce mixed with red pepper flakes for at least 4 hours. 3. 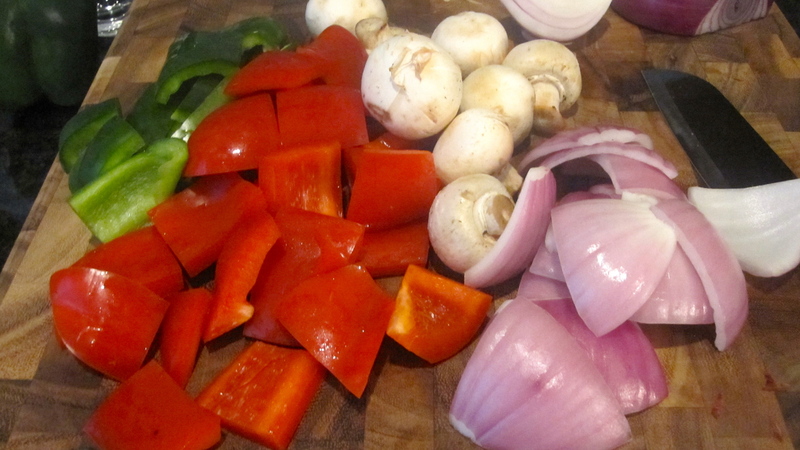 Chop peppers into 1 inch pieces and quarter the red onion. 3. Assemble the kabobs on skewers. (I suggest metal, but if you use wood make sure to soak them in cold water for an hour before use!) Alternate beef with vegetables. If you have leftover vegetables, make veggie-only kabobs. Have you ever had grilled pineapple?? SO DELICIOUS. 4. Grill the kabobs for about 2 minutes on each of the 4 sides or until the beef has reached desired doneness. 5. Use fork to slide beef and veggies off of the skewer. Derek grilled the asparagus with a little olive oil, salt, and pepper while the kabobs cooked. I may or may not have set off the smoke alarm making it, but Derek and I agree that the salmon I made tonight is a new favorite. Dinner was quick and easy tonight. I will definitely make this combination when I have a busy week. The entire meal took me about 25 minutes. 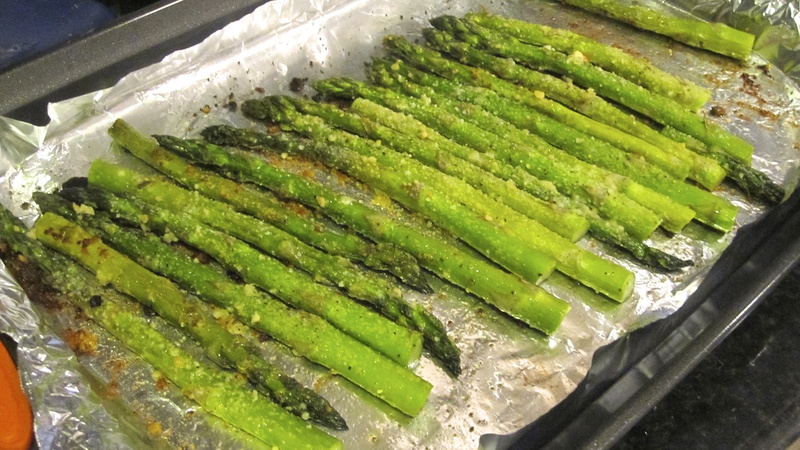 I cooked the asparagus for 8 minutes on 425 degrees to start. 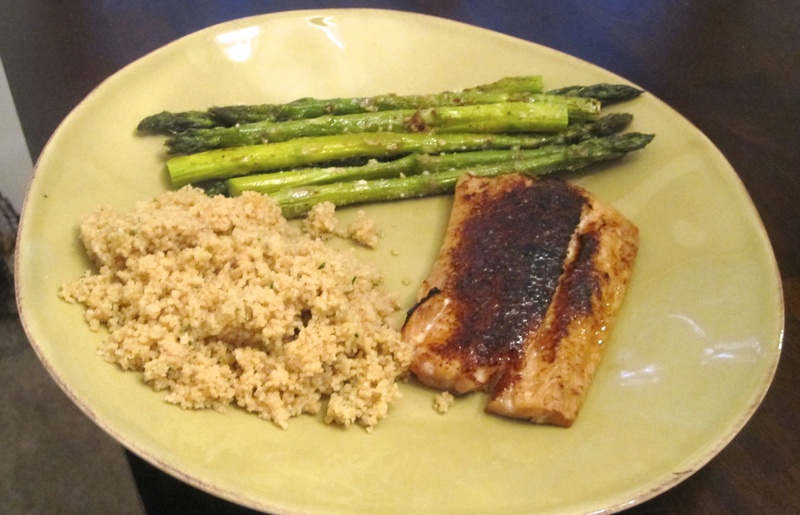 While it was cooking, I put the spice rub on the salmon and started boiling water for the couscous. Then I finished the couscous while the salmon cooked. Aside from the spices, there are few ingredients and everything cooked very fast. It’s a good option when you don’t have a ton of time. Now for the maple-glazed salmon recipe. I substituted a few things, but I followed this recipe from Cooking Light. Next time, I will probably grill the salmon instead of broiling it. The food was delicious, but I set off the smoke alarm. Fail. It was my first time broiling anything at our new place, and it apparently has a sensitive alarm. Whoops. *I used cayenne pepper for added spiciness. The recipe calls for brown sugar, but I didn’t have any on-hand so I used a little bit of regular sugar instead. 2. 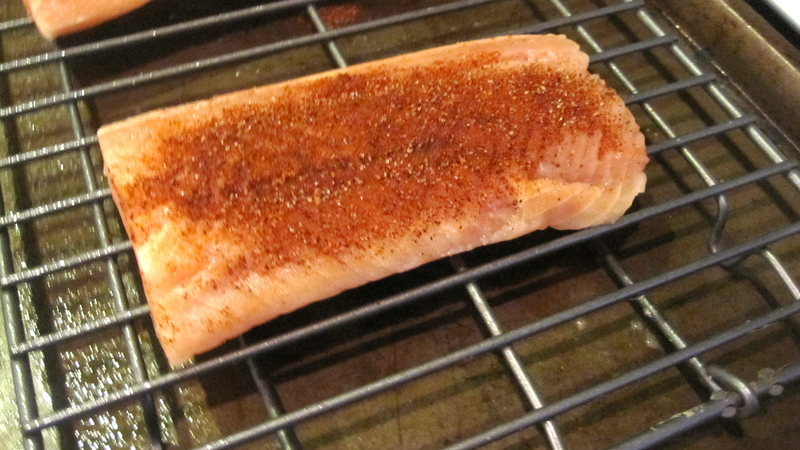 Rub spice mix over the salmon fillet. 4. Brush maple syrup on salmon filets. 5. Broil fish for ~1 more minute.